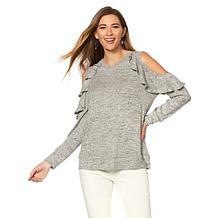 Hello, statement piece! 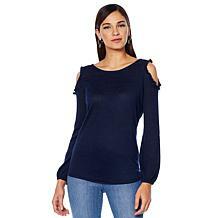 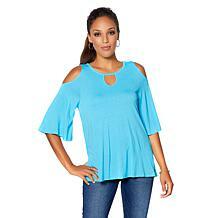 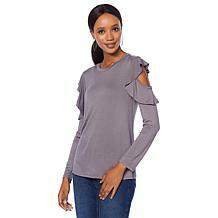 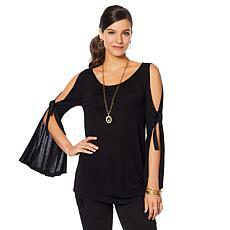 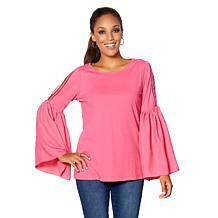 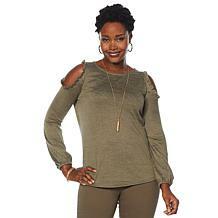 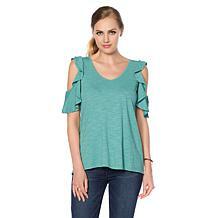 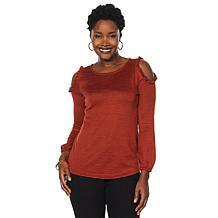 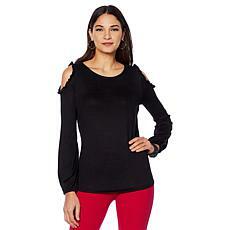 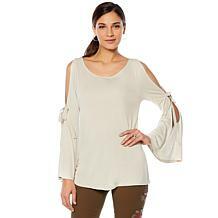 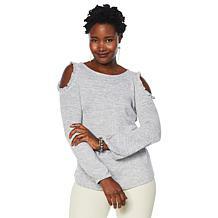 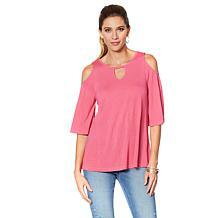 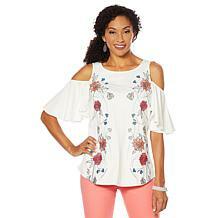 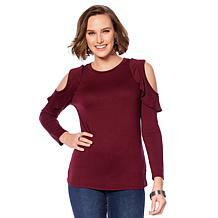 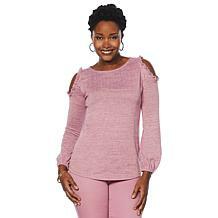 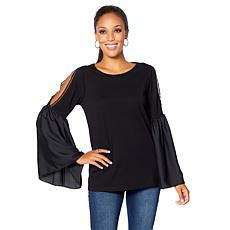 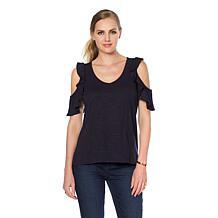 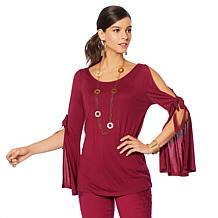 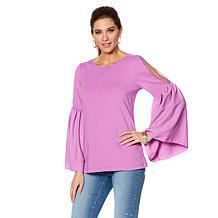 Turn heads in our selection of Diane Gilman cold shoulder tops. 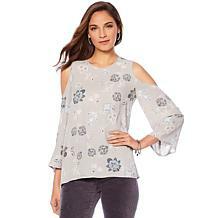 Decidedly on-trend with classic styling and cuts, these will quickly become the most reached-for blouses in your closet. For a fun girls night out, a beautiful crepe de chine bell-sleeve design will easily take you from drinks to the dance floor. 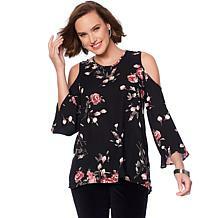 Looking to wow him on a date night? 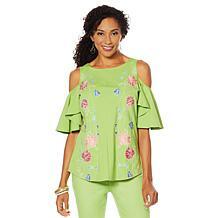 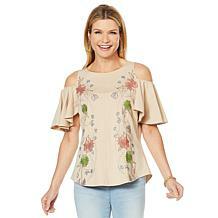 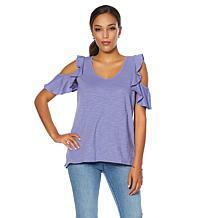 He'll love the soft fabric and flirty accents of our ruffled tops. 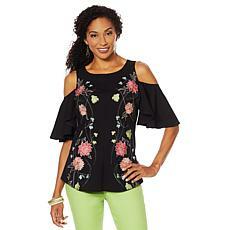 In a variety of styles and easy-on-the-wallet value, you will want to stock up on one of each. 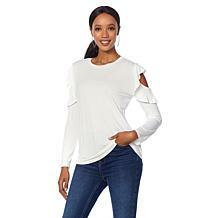 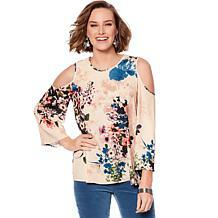 Your look will be off the charts when you pair a Diane Gilman top with a pair of our figure-flattering Diane Gilman jeans. 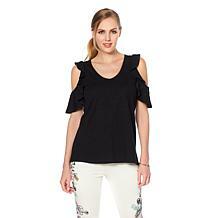 Embroidered accents bring a youthful touch to a pair of skinny jeans for a look straight off the runway. 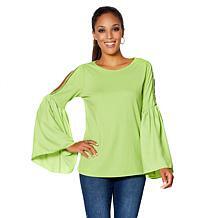 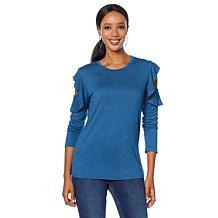 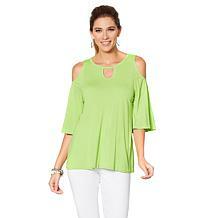 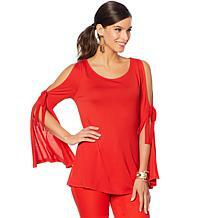 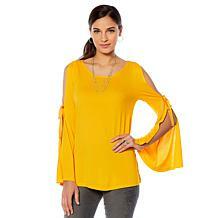 Or pair a black cold shoulder top with a pair of jeans in a rainbow of fashion hues for a vibrant pop of color. 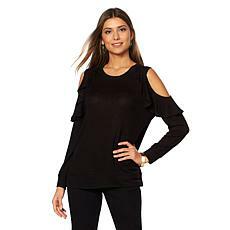 Offset the beautiful simplicity of our black cold shoulder tops with a beautiful pair of statement earrings. 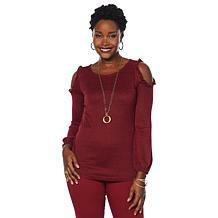 From chunky resin hoops to gem-encrusted drop earrings, there is a style for everyone to complete the ultimate sassy and sophisticated outfit.